"Rory really emerged as a team leader at Hazeltine...and I think he'll be absolutely pumped to finish a frustrating season in the best possible style." At risk of stating the obvious, the most fundamental challenge for anyone playing the top scorer markets is to identify which players will appear in at least four of the five sessions. No Top European Scorer has ever played fewer than four and the winning target for either side is usually at least 3.5. If that trend persists, a maximum of eight players can win, probably more assuming somebody plays all five. In the last Ryder Cup, no fewer than five Europeans played the full quota, making this effectively a six-runner contest from the outset. That said, Thomas Pieters was an extremely unpredictable winner. The Pieters example should ward against completely dismissing the outsiders but his core role was an inspired punt from Darren Clarke and the other quartet of ever-presents were very obvious. However given the strength of alternatives, it is hard to see Rory McIlroy, Justin Rose, Henrik Stenson and Sergio Garcia all playing the maximum again. Such is the strength in depth, I doubt more than a couple will get that privilege. McIlroy has never missed a Ryder Cup session and Rose has played every round in the last three renewals. Supported by win ratios of 58% and 63% respectively, not to mention their world status, a repeat of that plan makes obvious sense. Given the trends, both look good value at around [6.4], with preference here for the former. Rose is a magnificent Ryder Cup performer, no doubt, but he has been through the emotional wringer over the last few weeks. Coming just five days after winning the FedEx Cup, there may be a slight danger of a reaction and nobody would begrudge him an afternoon off. 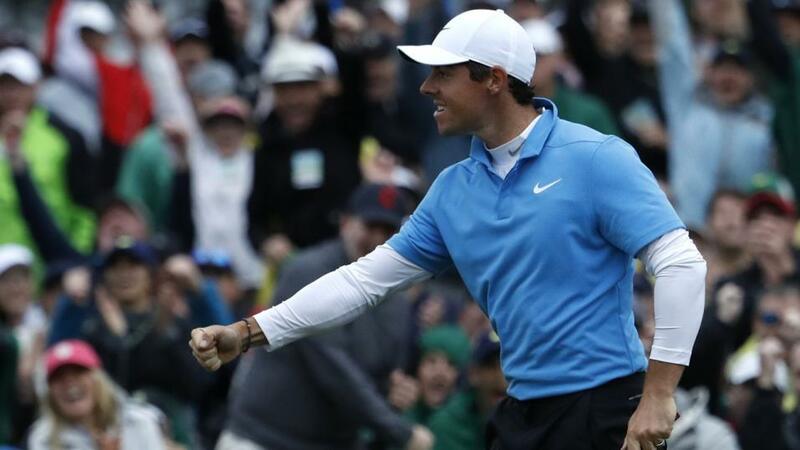 Rory really emerged as a team leader at Hazeltine, partnering the debutant Pieters. He's been on the verge of his best golf for months, typically ruining chances with a few ragged holes, sometimes smacking of a lack of focus. Nobody lacks focus in this event and I think he'll be absolutely pumped to finish a frustrating season in the best possible style. With the Belgian absent this time, McIlroy lacks an obvious playing partner. Clues will doubtless emerge from the practice rounds, shifting the odds. One plausible idea involves a heavyweight partnership with debutant Tommy Fleetwood, in at least one session. Whether he gets that gig or not, Fleetwood must be a strong candidate to play all five. He's probably at his physical peak and has the perfect long game for foursomes. 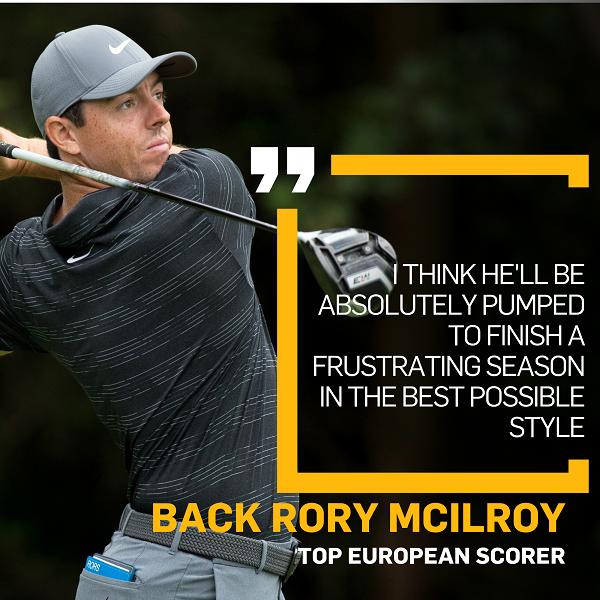 Both he and McIlroy are recommended for both top European and Top Overall Scorer - if likely extra appearances offers an advantage in the former market, so they must also in the latter. It is far less likely that Garcia or Stenson will play five this time, due to both lack of form and the presence of two major players in Fleetwood and Jon Rahm. At [10.0], the younger Spaniard makes much more appeal and must surely start the Friday morning fourballs, thus earning a chance to impress and stay out there. Ian Poulter and Paul Casey may also have slipped down the pecking order, as reflected by odds of [12.5] and [15.0]. The former has gone off the boil since a surprising summer resurgence, while the latter's form has dipped since blowing the Travelers in June. Without an evident turnaround in practice, I might be inclined to restrict Poulter to foursomes and Casey to fourballs. One man with no such form worries is Francesco Molinari and the Open champion is a three-time runner-up at Le Golf National. However just one point from six Ryder Cup matches, consisting of two halves, and even worse returns in the World Matchplay must be a major worry. Again, I'd restrict him to foursomes. Finally, could any of the bottom trio surprise a la Pieters? I doubt it. Alex Noren was outstanding earlier in the States but his form has tailed off. Tyrrell Hatton and Thorbjorn Olesen are both fancied to perform creditably but there are just too many world-class alternative options to expect more than three outings.